← Back to School – 5 Tips for a GREAT School Year! 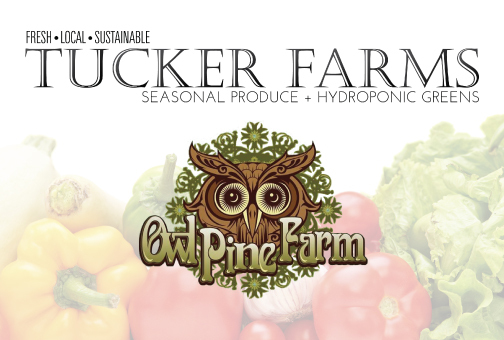 Stock up on fabulous locally grown produce from Tucker Farms and Owl Pine Farm. They will have a wonderful variety of hydroponic lettuces and greens (spring mix, green leaf, and bibb lettuces; arugula, kales, and other leafy greens) plus summer squash, zucchini, cucumbers, several varieties of tomatoes, winter squash, melons, honeycrisp apples, and asian pears.